Erasmus Greece Map | Map of Greece with the most interesting places in Greece to visit. 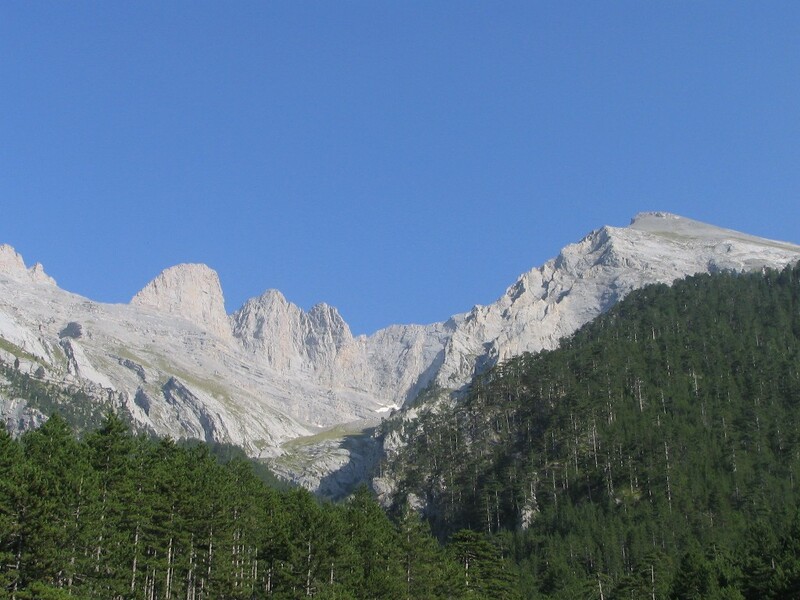 Mount Kyllini is a second the highest pick of Peloponese (elevation of 2374) after Taygetos. 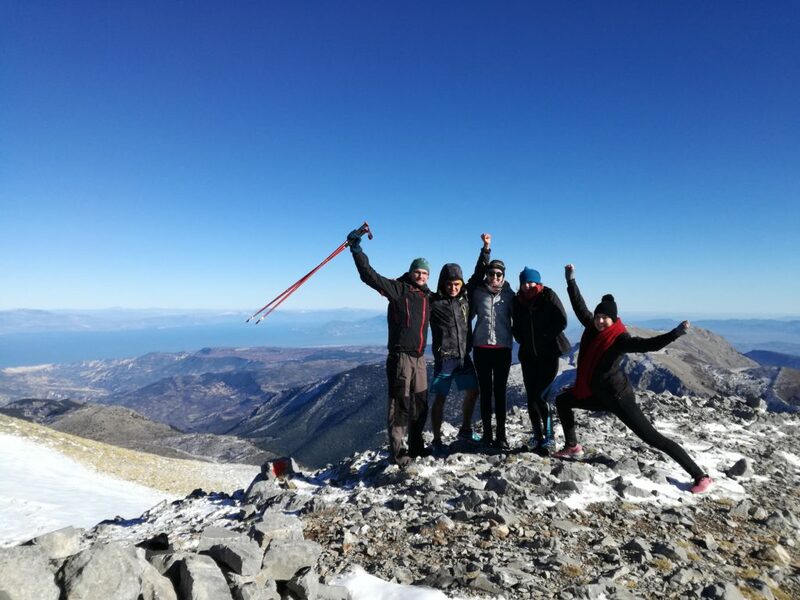 We deceided to hiked there because it is not very difficult mountain for trekking and it is perfect one day trip from Patras of Athens. 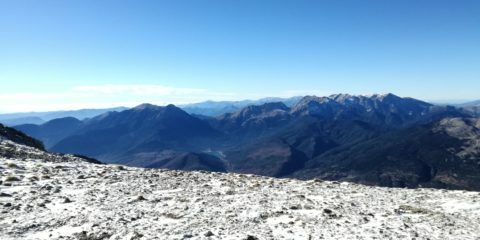 We hiked there on the beginning of December 2017. However it was winter time, we was lucky and the weather was very sunny but a little bit windy. On the top we could enjoy some snow and also make a snowman. Epidaurus the most impressive Greece ancient theater. We was very impressive of this place and now our dream is to be some spectator during some show. Epidaurus was named after the hero Epidauros, son of Apollo. 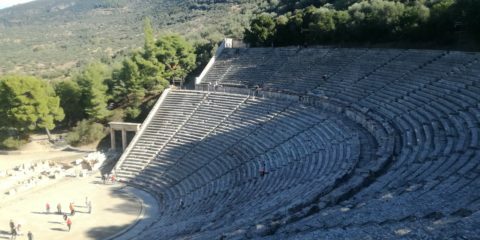 Except amazing theater, Epidaurus is an archeological site with some very impressive ancient constructions. Noteworthy is a stadium. Thermopiles is famous because of great battle between Sparta and Persia. Only 300 Spartan’s fought with huge Persian army. 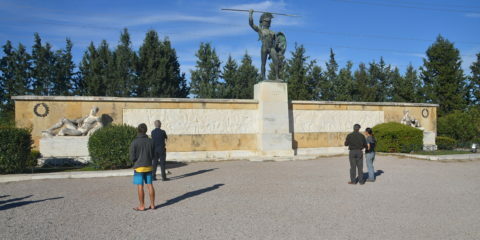 Now on the battlefield we could admire a Leonidas sculpture –the King of Sparta. 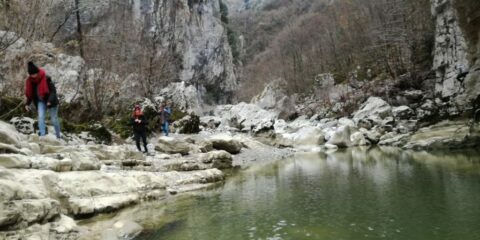 Zagoria was for me big surprise. 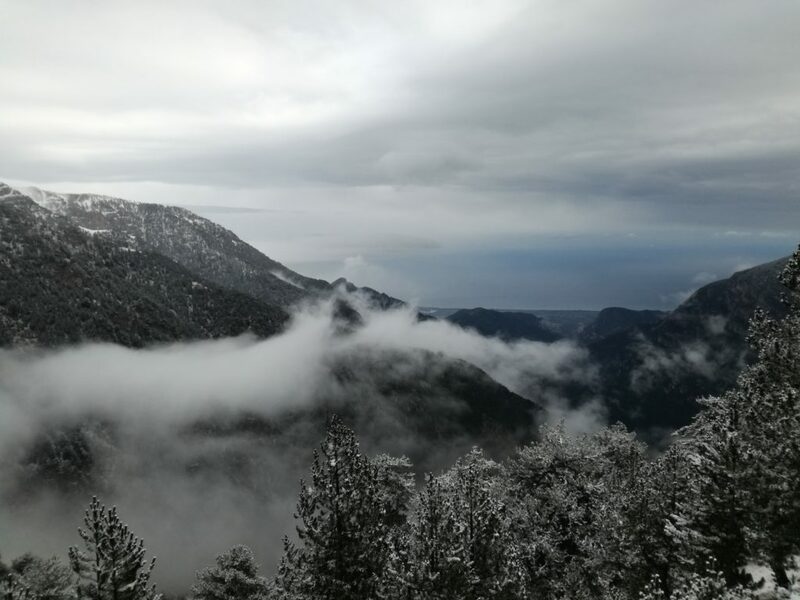 We decided to visit this remote mountains when we came back to Patras from Meteora. 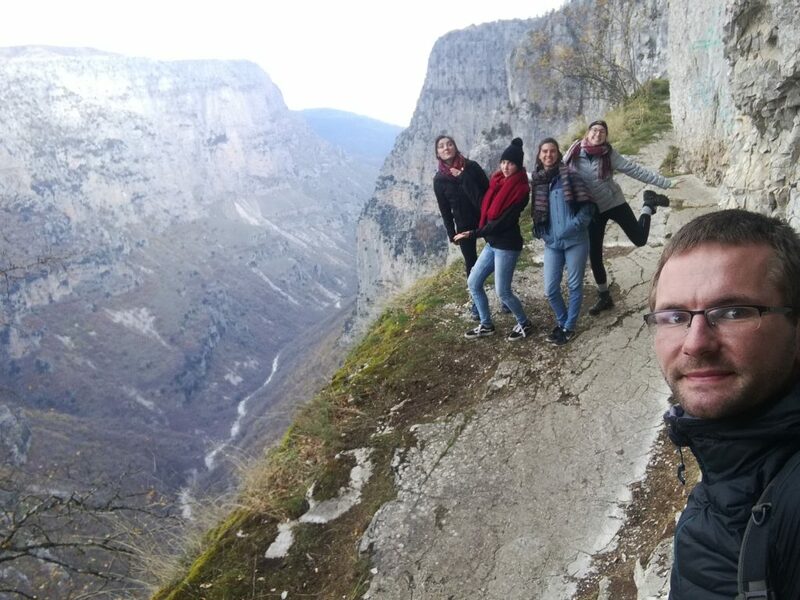 Our main goal was to see Vikos Gorge, the second deepest gorge in the world after the Grand Canyon. The Gorge is very impressive also during a winter time. 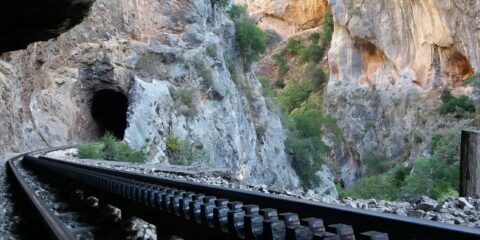 A huge advantage of Zagoria is beautiful complex of 46 villages. These villages have characteristic traditional architecture and they are surrounded by amazing nature. 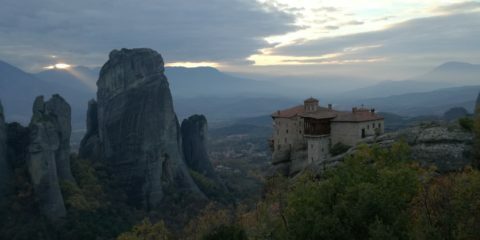 Meteora – the most amazing place which I visited in Greece during my Erasmus program. Meteora is an overwhelming rock formations. The most interesting summits are decorated with historical monasteries which are included in the World Heritage List of Unesco. Only 6 of them have made it through the centuries, from an initial estimated number of 24. 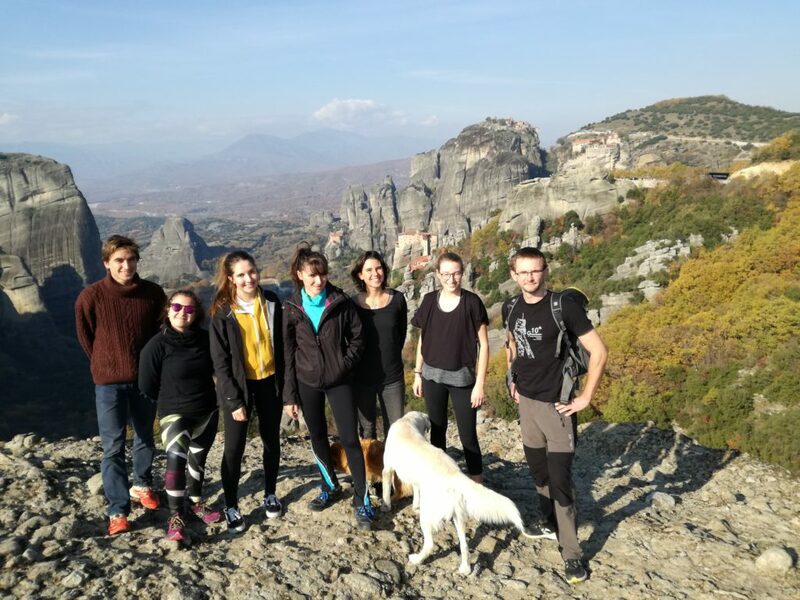 Some gigantic rocks of Meteora reach height of 400 m. It is also very popular place for climbers. Egina is an island just in the front of Athens. 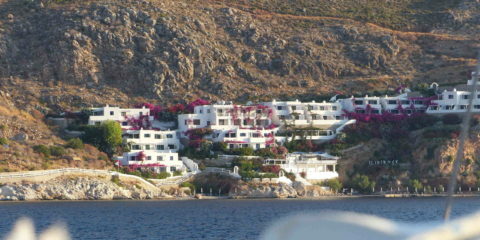 A style different from the arid Cyclades, the houses are more occidental and the vegetation is much more developed. The village called Egina, in the north-west, welcome the ferries. It’s also a very cute village, with a little port of fisher man. 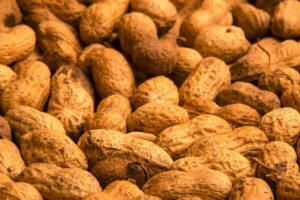 The island is especially very well known from the Athenians for its peanuts. The sea is not as clear and limpid as some Cyclades island. 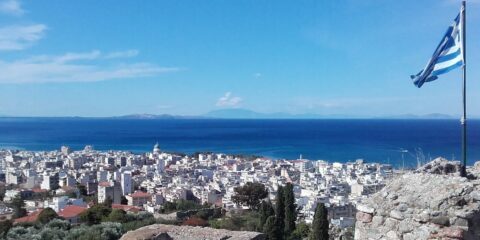 But compare to Athens, it can be a very good compromise. 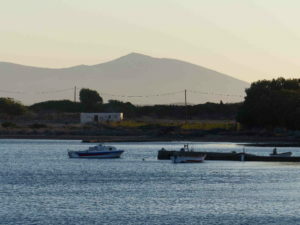 Paros is an island pretty good served by ferries and planes. 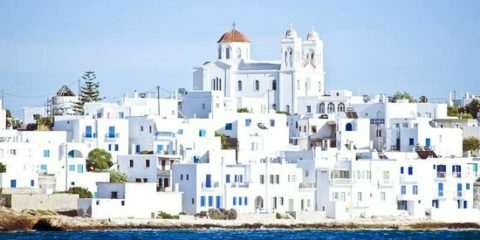 It’s also a complete island : the beaches are beautiful, the villages are cutes, some museum are very interesting, the history is rich… Rich due to the exploitation of its white marble, among others. The famous statue “Venus de Milo” was made with this marble. 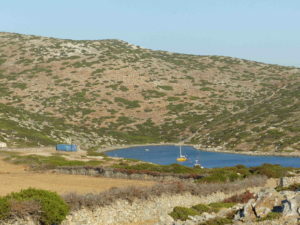 Hiking in Paros is very pleasant. 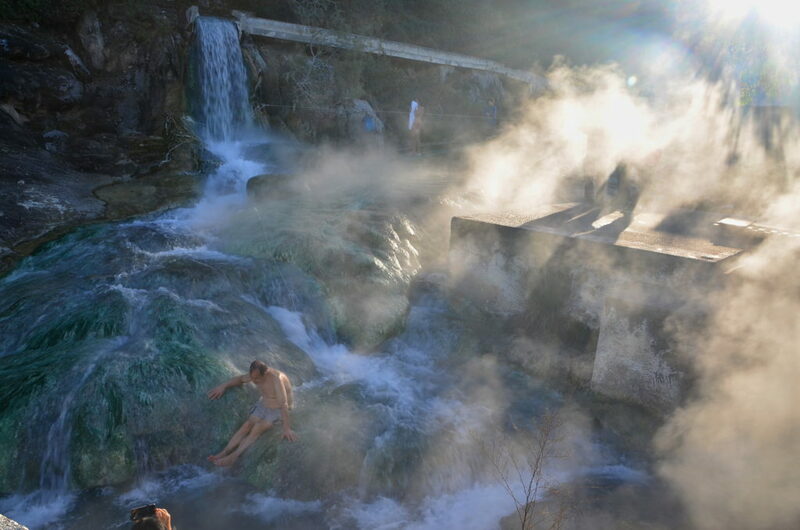 You can easily discover by yourself some marble or goats exploitations, and beautiful villages, lost in some valley. Just don’t forget your GPS and a bottle of water in summer time. 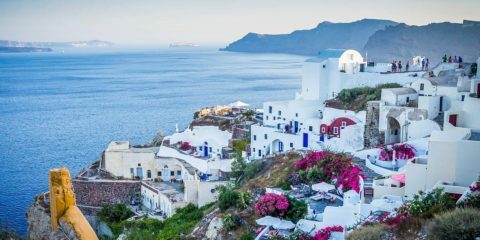 The famous one… Indeed, Santorini’s landscape is incredible. 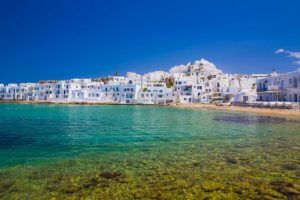 It’s one of the few volcanic island of Cyclades. The crater have the shape of a semi circle. These huge cliffs, like battlements, are overcome by the photogenic white houses and church at blue cap. A lot of small or big boat make cruise in some places around the crater and its cliffs. 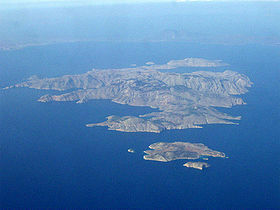 In the middle of the semi circle, Nea Kameni island intrigue by its dark and almost hostile feeling. Mainly composed by scories, this island represent the content of the ancient magmatic chamber. 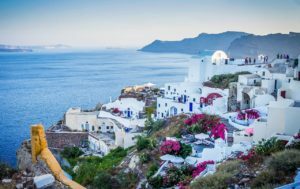 The rest of the Santorini caldera is very touristic, but keep some values and cultures, despite the mass of ferry and motorbike to rent everywhere. Some raisin culture in the countryside contrast with the usual -but still gorgeous- touristic colorful houses. 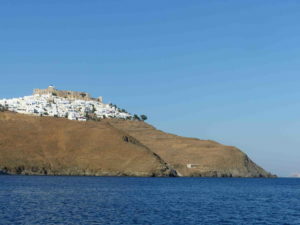 A typical Aegean island. 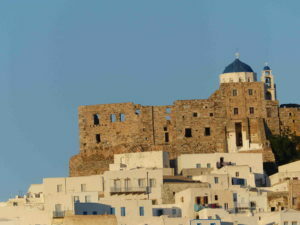 Lost but not too much, with desert areas and cute villages, Astypalea seems to be really interesting for all kind of people. On the top of a hill which fall in the see, the castle of Guerini overlooks the bay of Livadia. 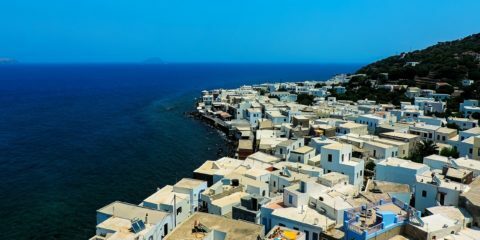 In this village, -which still represent one of the biggest town of the island- ferry are coming from Anafi, Kalimnos, Amorgos and Ag. 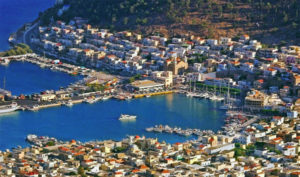 Nikolaos. 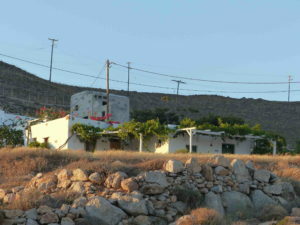 On the slopes of the hills, the typical white cycladic houses seems to look after the sea. 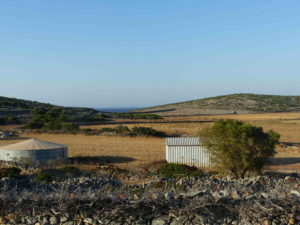 If we go in the north-est part of the island, we will discover really remote and arid landscape. 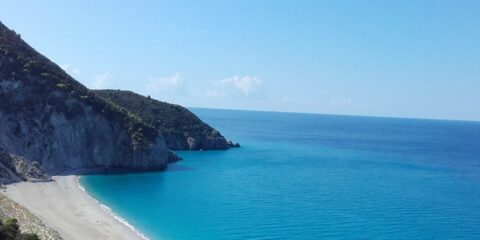 And, finally, the amazing bay of Vathi. 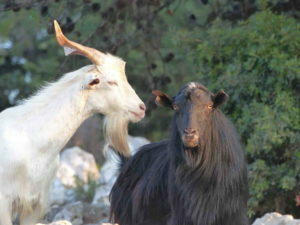 Like very often in the Greek islands, the people live mainly thanks to the goats, and tourism. The little restaurant and guestroom of Vathi welcome mainly Greek people, who are looking for simple nature beauty, and calm atmosphere. In this part of the island, we really feel like at the end of the world. 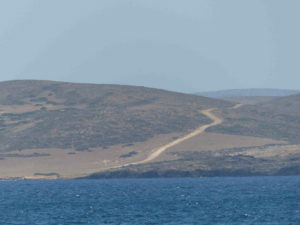 An island lost in the middle of Aegean sea. Most of the time, only 3 greek and 2 pakistanese live here. With hundred of goats. And furthermore, the people are the kindness embodied. Only detail is : this pace that reside in this place is due to the isolation of the island. 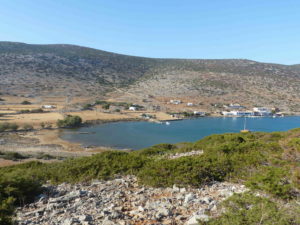 The only ways to go there is with the boat of the Levitha’s family, with your own boat or by boat-stop in some places like Astypalea, Amorgos or Kalymnos. The people who go in this place are more interested to live an experience than to do only touristic visit. Very mountainous, arid and authentic. Of course, it depend of where you go in the island. 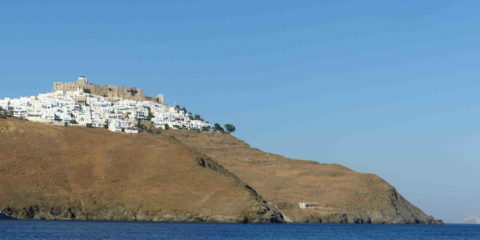 It can offer you quite big city, as Pothia, where the ferry arrive from Kos, Mastichari, Leros or even Astypalea. Some villages, as Vlichadia in the south, are particularly welcoming and authentic. With hit music and young people in the streets, Kos show directly to which public it is oriented. 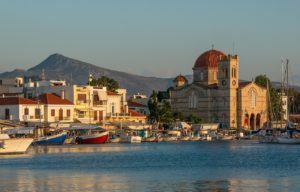 Indeed, Kos is a city for the night life, and you will be happy if you are looking for touristic place which try to stay authentic, and with some beaches. The waterfront is covered by restaurant, who played traditionnal music, often in live, during the evening time. In the street we can meet a lot of portrait artist, of different styles, from the caricature to a drawing impressive of realism. 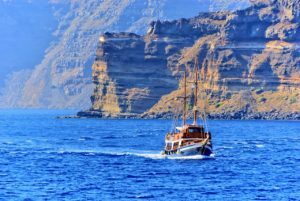 We arrive until the port, which is one of the most authentic place, we find a curious amount of eclectic boats, from the little fisher man to the billionaire and his gleaming yacht. Around, cruises and see products are to sail side by side. When we walk a little bit further, we find some truly cute streets. 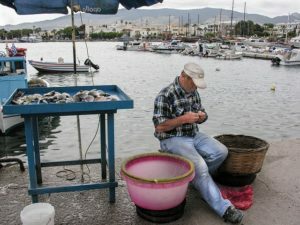 Kos is also a very well placed town if you want to visit Bodrum in Turkey. The numerous little ferry that assure the few minutes cruise are in the port. 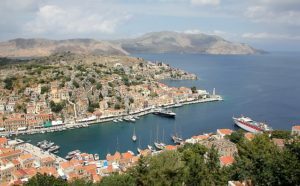 Symi is a small island compare to others, of only 65 km squares for 2 600 people. It’s beautiful by its cliffs, and its calm atmosphere. The climate is very arid and we can meet some difficulties to find wather in the summer, cause most of the sources are dry. 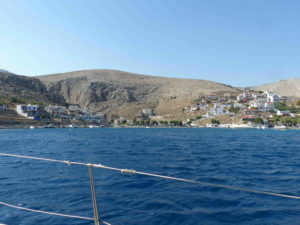 We arrive in Symi only by boat, from Rhodos. The ferry stop first in the amazing bay of Panormitis. This village is famous because of the Holy Monastery of Archangel Michael. The exact construction date is unknown but, according to an old manuscript, it existed in the 15th century. It is said that this monastery was built on the ruins of an ancient temple, but this has not been proved. 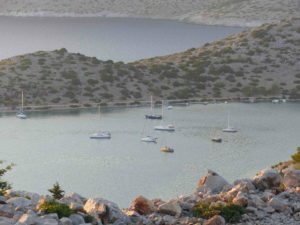 Panormitis is also a perfect refuge for the sailing boat. 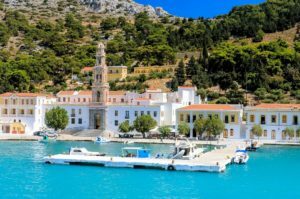 The second and last stop of the ferry is Ano Symi, the bigger town of the island. Trekking in these arid and desert hills is complicated if you don’t want to follow the road. 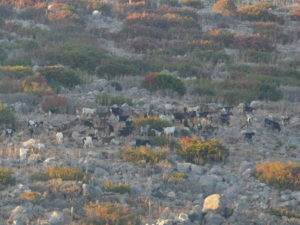 Most of the hills are dominated by the presence of a huge amount of goats. 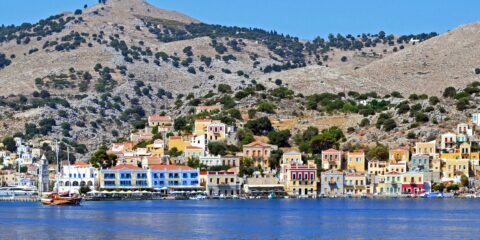 If you like the lost, calm, natural, authentic, and a bit touristic places, Symi can be really interesting for you ! 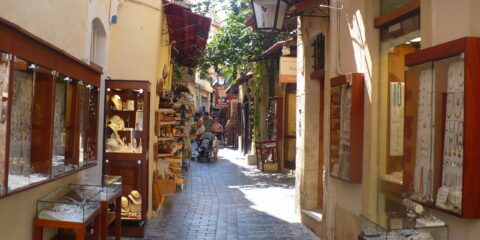 Rhodes is a touristic place. But in my opinion, it deserve totally. The Palace of the Grand Master of the Knights is one of the most impressive and well conserved monument of the center. Around, you will find a nice city, with pretty little streets in old stones. Near the sea, a charming path beside the castle wall bring you from the center to the port. In this area, we find nightclub and car center. 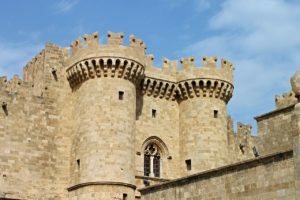 We left here the touristic, stony, clean and beautiful castle’s areas, to entering in the popular Rhodes. Bad thongs will qualify it as dirty, I will say authentic. 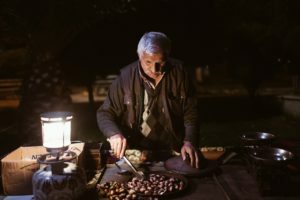 Here it’s the domain of roasted chestnuts and corn, schools, stray dogs… In one word, life. This is a perfect place for students. 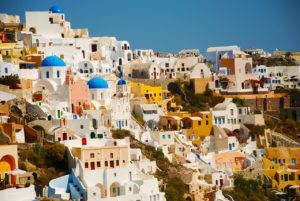 It is the third largest city in Greece with bustling night life. Daily time the restaurants, coffee shops, at the night the bars and clubs are full with young citizens. The ancient and the modern world perfectly mingle together in the town. Next to the new fashion you can find the ruins of the ancient Greece. The main sightseeing are Medieval the castle, Roman Odeum, Saint Andrew Church and the Achaia Claus winery, where Mavrodafni, the traditional wine is made. 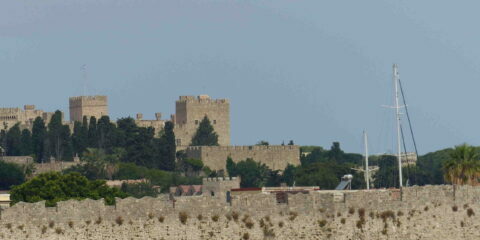 From the castle you can admire the grandiose panorama of the city, the port with the old Lighthouse. The city has many museums, shopping possibility. This is a city that never sleeps. 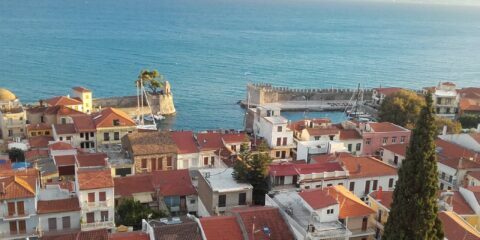 Nafpaktos is an old, lovely town on the west coast of the mainland. It has kept its traditional feel and style. The most important sightseeing is the small but beautiful harbor and the Venetian Castle. 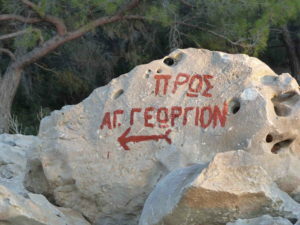 From the top of the hill you will have great view to the sea and the opposite side of Peloponnese. The main beach of Nafpaktos starts from the old port and extends for long. Perfect place for swimming and relaxing. 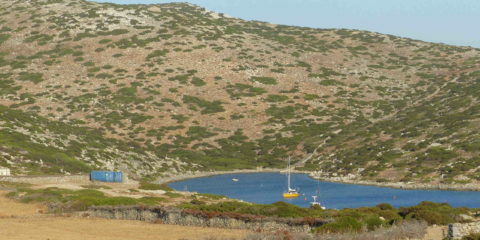 Many other nice beaches are found in close distance of the town. 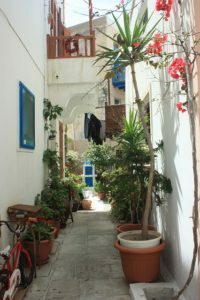 If you like the narrow streets, old buildings, and local stores this is your place. A magical small town on the seaside. The buildings are stunning examples of ancient architecture. On the island you can find so many local products like fresh feta or olive oil. This is a very romantic place with his old town’s charm and history. 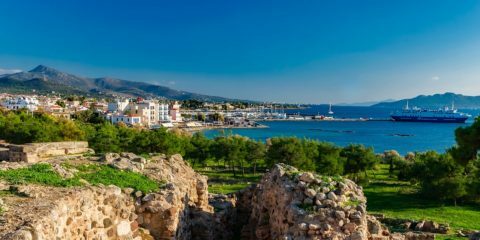 Rethymno has long, sandy beach and an old Venetain harbor. Perfect places to hang out night and day also. 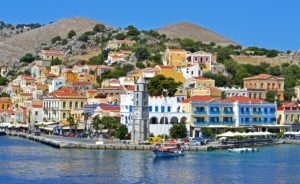 Crete is the largest island of Greece. With beautiful sights to see it is one of the most popular tourist places. 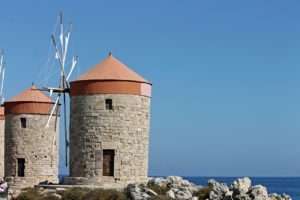 Crete is a part of the cultural heritage of Greece with its own local cultural traits. 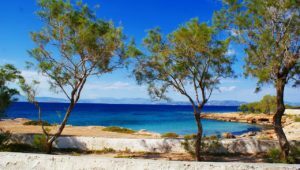 The city of Hersonissos is situated about 25 km far away from the capital city, Heraklion. 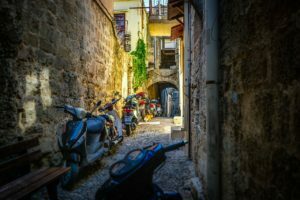 Hersonissos is the center of night life on Crete. 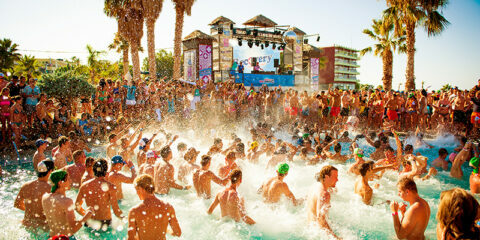 Each summer hundreds of thousands of tourists arrive here to enjoy the sunshine and the parties. 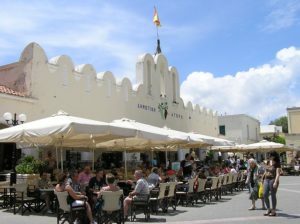 On the seaside you can find amazing bars, clubs, local restaurants and many shops. The tourist composition is quite varied. English, Dutch, German and Polish tourists are the most common. You can find many lovely, but busy, beaches in the town. A night walk on the harbor would make your holiday unforgettable. Mount Olympus is the highest mountain in Greece and also one of the most famous mountain in the world – because of the gods house. 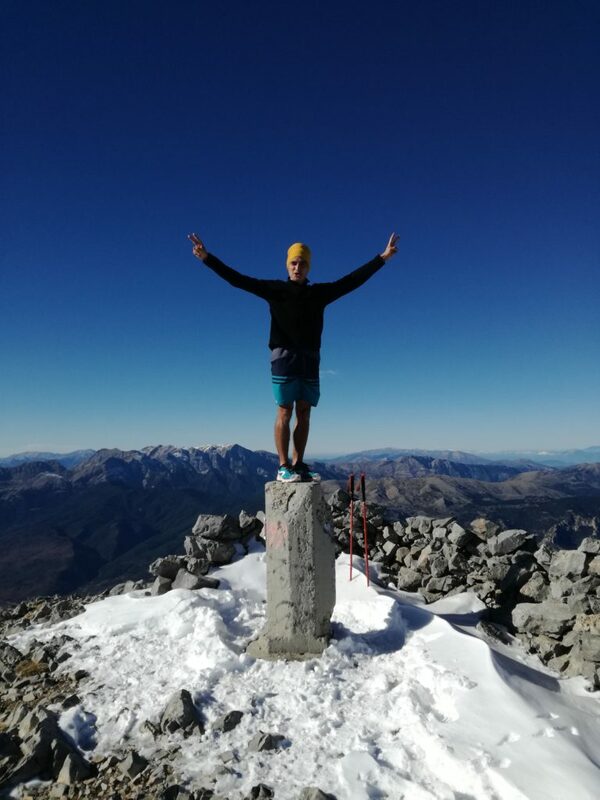 It was my child dream to hiked on Olympus that’s why during the first weekend of my Erasmus program in Greece I decided to try hike there. 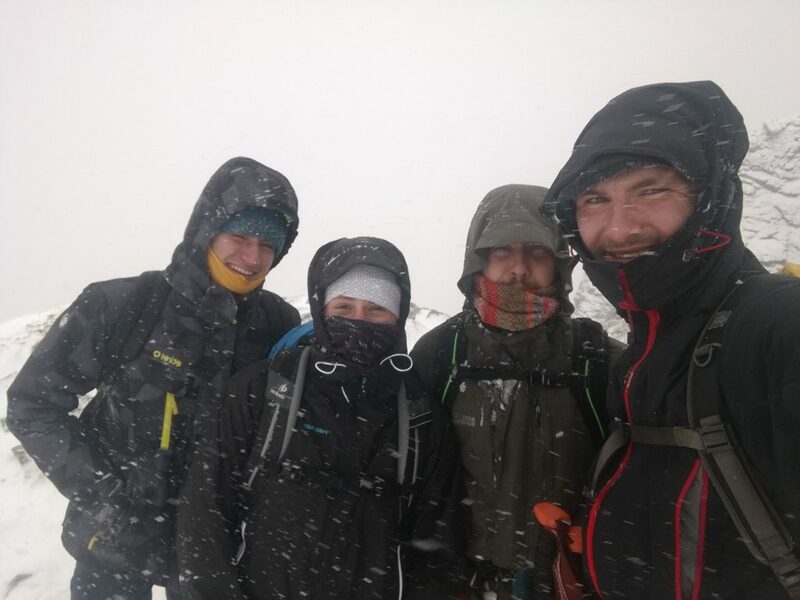 Unfortunately the weather during the summit attack was very difficult (snow storm) and we reach only the pass (2810 m) below the main pick Mytikas (2917 m).